The NaPoWriMo prompt today was to write a ghazal. A ghazal is formed of couplets, each of which is its own complete statement. Both lines of the first couplet end with the same end-word, and that end-word is also repeated at the end of each couplet. 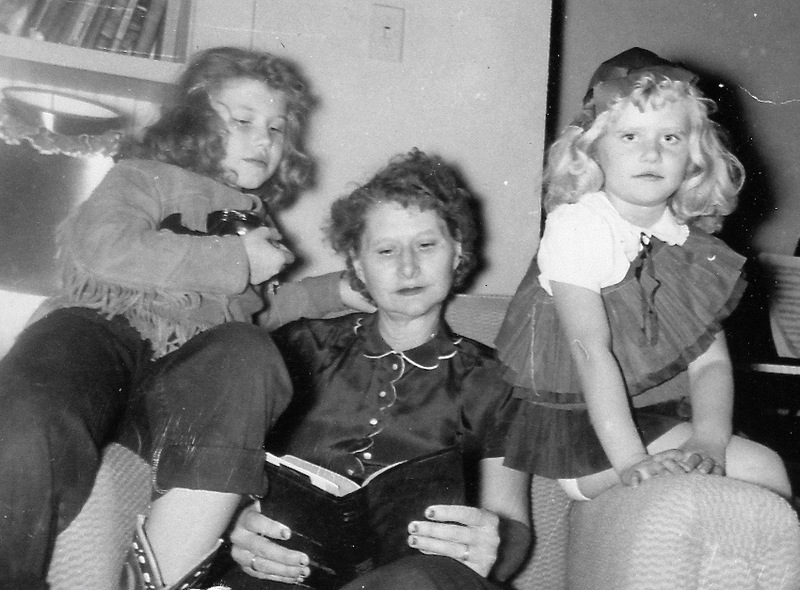 My sisters and I. Strangely enough, there is not one photo of my mother and father and the three of us girls together. The only family photo ever taken was before I was born. The youngest of three, every day down unpaved roads, I tracked my sisters’ footprints. Nancy Drew wannabe, who needed fingerprints when I could read their footprints? My mother’s closet a treasure trove, hidden wonders lay obscured on the tallest shelves. I fanned her dresses with my fingers, slipped into red high-heels that bore her footprints. Careful where you walk, my father warned, parting tall grass near the homestead ruins. Fearful of snakes, I fit my own feet to matted grass that marked my father’s footprints. than to go where she’d gone, and follow in my sister’s footprints. I chose Australia, Indonesia and then Africa––following imagination’s footprints. worn by each of the girls in our family and then by her, as she followed in our footprints. This entry was posted in Family, family relationships, Family Storie, Poem, poem about families, Uncategorized and tagged Family, family memories, footprints, ghazal, NaPoWriMo 2017, poem about families, Sisters on April 13, 2017 by lifelessons.